Win, a serial entrepreneur, has been the CEO of iGetBetter, Inc., his seventh early stage company, from the time it was established in February, 2013. His previous experience with early-stage companies, includes most recently as CEO of Incentive Targeting, which was sold to Google; Bungee Labs (Co-Founder & CEO); ViryaNet (CEO, successful IPO); ViewSoft (SVP of Sales & Marketing, sold to Citrix); ObjectLink (Founder and CEO, sold to SunSoft); and Oberon Software (SVP of Sales & Marketing, sold to OnDisplay). He is also experienced in larger company operations, having held senior executive sales and marketing positions at Orbotech, Gentia Software, Applix, Wang Labs, Apollo Computer and Prime Computer. Following his training as an EE/Computer Scientist at MIT, Win began his career as a software engineer at MIT Draper Labs, MIT Lincoln Labs and Data General. Win’s healthcare IT experience includes IT systems for hospitals while at Wang Labs, and operational support systems for healthcare system vendors such as GE Healthcare while at ViryaNet. Win is a PSIA certified part-time ski instructor at Loon Mountain in New Hampshire. Stephan started his education and career as a mechanical engineer. His first employment in 1986 was with IBM, where his sales and marketing pedigree was developed. He started out as a system engineer, held various positions in sales and marketing and was promoted to worldwide business unit manager for the IBM/SAP joint venture. Stephan earned his MBA degree at IMD Lausanne, Switzerland in 1992, which is when he launched his entrepreneurial career. While at IMD, Stephan co-founded OPED AG, a highly innovative orthopedic device company, which today employs 300 people and is still privately owned. He led OPED AG for 10 years as CEO. Stephan developed the concept of providing standardized outpatient care plans, which revolutionized OPED’s sales approach—it sold comprehensive "treatment solutions" rather than mere medical devices. These care plans were the impetus for iGetBetter. In 2005, Stephan moved to Boston to start distribution of OPED products in the US, which is also when he and Christian Marten began formulating the idea of creating online care coordination plans. Under Stephan's stewardship, the iGetBetter project progressed successfully, culminating in the establishment of iGetBetter, Inc. in January, 2013. 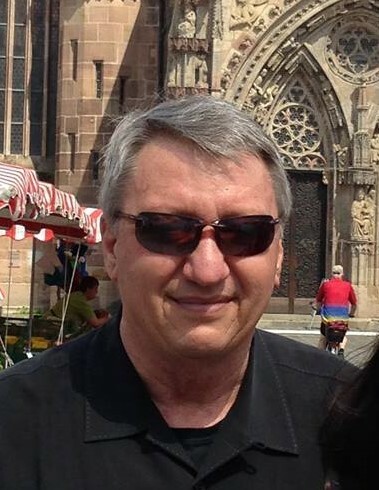 Christian studied Bioengineering at the University of Rostock, Germany, and the Kolff Laboratory at the University of Utah in the U.S. After his graduation from college in 1995, he joined the infant OPED in Germany as a sales manager, where he was essential in laying the foundation for the company’s success. As Managing Director and COO of OPED USA, Christian gained comprehensive knowledge of all aspects of the medical device business. Extensive travels throughout the U.S. brought him into many hospitals and physicians' offices, leading to countless discussions with healthcare professionals and also patients about healthcare. Based on his experiences, Christian created the first product concept for iGetBetter and our namesake. Christian led the development of the application from concept to usable product, which resulted in the establishment of iGetBetter, Inc. where he is responsible for the functional evolution of the product, as well as driving the introduction and operational deployment with customers. It is with great sadness that we announce that Dr. David Lebudzinski, our Chief Medical Officer, has passed away. To read his obituary, please CLICK HERE. We will deeply miss our friend and colleague. David Lebudzinski, M.D. began working with the iGetBetter as a consulting physician in early 2012. David received his undergraduate degree from the College of the Holy Cross in 1990 with a major in physics. He received his medical degree from the University of Massachusetts in Worcester and completed his internship in Internal Medicine at UMass followed by additional training in Diagnostic Radiology. David serves as the Chief Medical Officer and provides general clinical guidance to iGetBetter and acts as a liaison with clinicians who utilize iGetBetter for their patients. Ken Accardi began working with the iGetBetter project in 2011 as a technical consultant, and is the CTO of iGetBetter, Inc. He oversees the design and implementation of the iGetBetter software products and manages the HIPAA compliance program. Ken is a serial entrepreneur in the Healthcare IT space. He founded and served as CEO of Ankota LLC a health care software company, serving the home care market and serves as CIO in Residence at the incubator company MedNest LLC. Ken focuses on helping young entrepreneurs as a mentor for the MassChallenge accelerator and as an adjunct professor at Babson College and UMass. He has also lectured at Harvard, MIT and Bentley College. Ken held vice president roles in Tele Atlas (sold for $4B in 2008) and at ViryaNet (IPO in 2000 and sold to Verisae). Ken grew up in his career at GE Healthcare where he was global CIO of the GE Healthcare Services division. Ken brings 20 years of experience in health care and mobile work force optimization technologies with an MBA from Babson College, a MS in Computer Science from Virginia Tech, and a BS in Engineering from Bucknell University. Chris is a Principal Software Engineer at iGetBetter. She joined the iGetBetter team in 2014. She has her BS in Computer Science from Worcester PolytechnicInstitute and her MS in Biomedical Engineering and Biotechnology from the University of Massachusetts Lowell.